Models are stitched on 28ct Clay Cashel linen. 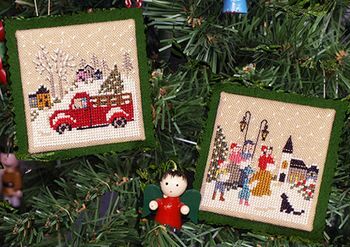 You will need a 6" x 6" piece for each ornament. Stitch count for each is 42w x 42h.